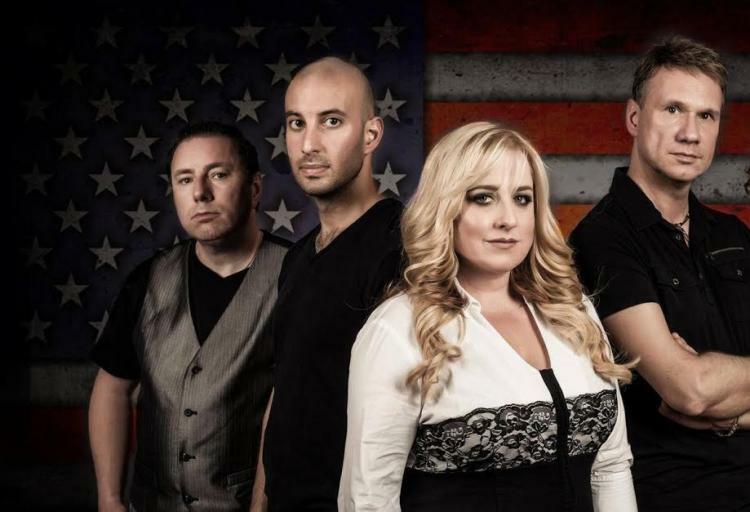 CLAREMONT, NEW HAMPSHIRE – The electrifying and award-winning Shana Stack Band is coming to Arrowhead's “Summerfest Concert Series” on Sunday, July 3. Tickets are on sale now (only $10) at the Summerfest Concert Series website. The upcoming show adds to an already-busy summer for the band. The list of awards this band has accumulated over their still-rising careers is impressive and seemingly endless; “Band of the Year” by the New England Music Awards, “Country Artist of the Year” by Limelight Magazine, “Country Band of the Year” and “Fans Choice Award” by the Independent Country Music Association, “Country Act of the Year” by the New England Music Awards and “World's Best Indie Band” by Wiles Magazine... and I could go on. 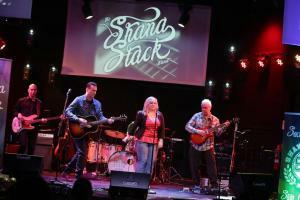 The Shana Stack Band features multi-national award winning vocalist Shana Stack and Nashville Songwriter's Association International member, Ed Leavitt, the male vocalist and songwriter of the group. Peter Henault plays lead guitar, Kurt Ekstrom plays drums and Alec Derian lays down the bass. The group focuses on current country and the original music written by Leavitt, and one of Ed's songs titled "Let it Go" has been featured in the movie Compliance, which was released nationwide in the summer of 2012 by Magnolia Pictures. The band has opened for such mega stars as Reba McEntire, Sugarland, The Band Perry, Rascal Flatts, Chuck Wicks, as well as performing before Travis Tritt on the Main Stage at the New Hampshire Motor Speedway prior to a Nascar Sprint Cup Race. They have performed shows across New England at a variety of venues including Turning Stone Casino, Lake Sunapee Yacht Club, Tupelo Music Hall, Meadowbrook Pavilion, New Hampshire Motor Speedway, Toby Keith's Bar & Grill and the Big E Fair! 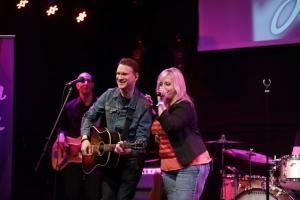 They also opened for the “Vocal Group of the Year” by the Country Music Association, Little Big Town and later the same month, opened for Craig Morgan and Aaron Parker at Northeast Delta Dental Stadium. Their second full-length original CD released in 2012, What You See Is What You Get, was nominated for “Album of the Year” by theIndependent Country Music Association and the follow-up album, Every Now and Then, was released in 2013. The band's fourth album titled Then and Now was released in July 2014 and they are currently working on material for their next release. The band's musical director, Ed Leavitt, currently focuses the band on performing mostly current/modern country songs such as Luke Bryan's “Country Girl (Shake It For Me)”, Chris Janson's “Buy Me A Boat” to the current smash hit by newcomer Maren Morris, “My Church”... However, they also perform a wide range of music from Meghan Trainor's “All About That Bass” to ZZ Top's “Sharp Dressed Man” and a lot in between. The band has also arranged a traditional medley consisting of legends such as Merle Haggard, George Jones, Dolly Parton, Tammy Wynette and Patsy Cline. 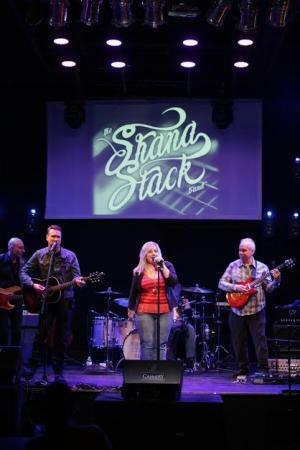 Without a doubt, The Shana Stack Band hits the stage with one goal in mind, to engage their audience and leave them wanting more... and they are excited to perform at Claremont's Arrowhead Recreation Area. “Summerfest posted on the What's Up Claremont Facebook page and our band manager, Conrad Farnham, who also lives in Claremont, saw the post and responded," Shana added. "Our guitarist, Ed Leavitt, also lives in Claremont, so it was a great way for a local guy in a nationally recognized, award-winning group to give back to the community." To learn more and order tickets for the show on Sunday, July 3, visit the Summerfest Concert Series website at www.claremontsummerfest.com. 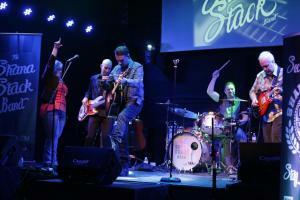 To learn more about The Shana Stack Band or to book a show, contact the band through their website at ShanaStack.com or by calling 603-558-2381.